Thanks to long-time Midnight Voices member John Duncan, I'm able (and curiously delighted) to add to our Website another of the essays Clive wrote for the early-70s British rock magazine Cream. 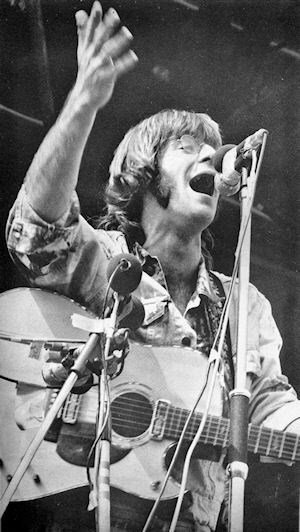 Here he remarks on the brilliant lyrical technique displayed by John Sebastian in his early songs for the Lovin' Spoonful, and expresses dismay at the apparent squandering of that talent in the artist's solo, fuzzy, post-Woodstock work. Appropriately, he speaks of the 'old' Sebastian in the past tense, although he's still alive and working today. Tie-Dyed in Gaza joins the other six of Clive's Cream articles already on the Website.